It was just another evening at Norcot Community Centre...or was it? YEE HA! Successful bid for the Wild West Project! The project involves weekly 'Wild West Wednesdays' with Norcot Children's Centre, a monthly 'Wild West Saturday Club' and three 'Family Wild Days' in collaboration with Norcot Early Years Centre. Hundreds of families picnicing in the park, a group of children singing animal songs, another group making weird and wonderful creatures out of clay and painting butterflies...then venture deep into the wood to discover children creeping along a blindfold trail and learning about trees. Walk across the meadow past the bug hunters and there’s a stream - the children are helping themselves to welly boots and they’re paddling away! What’s going on? It’s a Family Wild Day. Nature Nurture like to collaborate with local conservation groups and were joined by the Tilehurst Globe at Arthur Newbery Park. They are now applying for more funding to run Family Wild Days in May / June 2016, to tie in with Beat the Street and Reading Year of Culture 2016. They're also devising a Doodle Tree Trail in the town centre with The Museum of Reading and local artists. We’re proud to be part of The Wild Network, whose mission is to support children, parents and guardians of children to roam free, play wild and connect with nature. An amazing film, Project Wild Thing, kickstarted this nationwide movement and we’re going to create ‘The Wild Town Toolkit’ which we’ll share with other organisations across the land who want to make their own town go wild! FREE outdoor fun for kids this Summer. Bring your child/ren to an amazing Family Wild Day! Happening from 5th to 8th August at various Wild Spaces around the town. We'll be providing an array of WILD activities including den building, wild art and music, mini-beast quests, conservation skills, storytelling and more. Suitable for children aged 2 to 12. For all events, we ask that parents/ carers stay with their children. 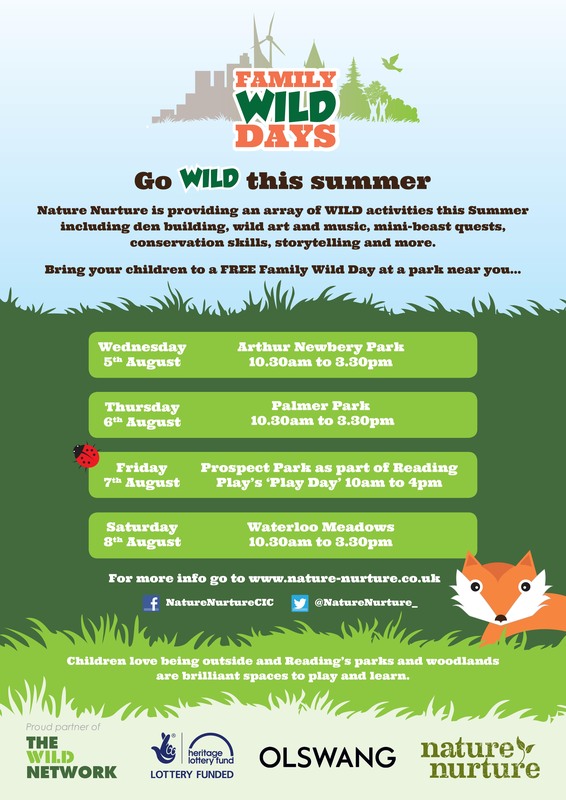 On 5th and 6th August at 1.30pm, we'll be joined by the Urban Play Rangers and on the 7th August we're part of Reading Play's Play Day. See Nature Nurture CIC page to 'join' - we'd love to know you're coming. You can drop in at any time - why not bring a picnic and make a day of it? 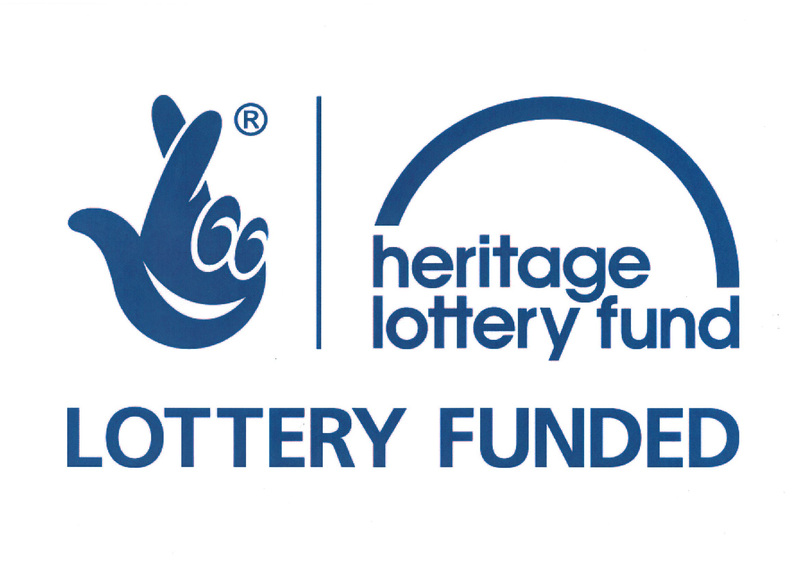 Thanks to 'The Heritage Lottery Fund' and 'Olswang' for grant funding to make this possible. Crikey! Tim Gill is one of the UK’s leading thinkers on childhood, and an effective advocate for positive change in children’s everyday lives...and he supports The Wild Reading Campaign! Everyone agrees that regular contact with the natural world is part and parcel of a healthy childhood. Yet far too few children know what it is like to make a daisy chain, chase falling leaves or feel the mud between their toes. We need to figure out how to reconnect children and families with the green spaces that are on their doorstep. The Wild Town project is a great opportunity to do just that. This Berkshire town could pave the way for a nationwide movement to help children rediscover the joys of nature. Mike Read and Teresa Verney-Brookes take a trip down memory lane, remembering when all kids got to play outdoors. This short film shows what we've been up to in the Wild West of Reading. We're even more ambitious now; we want to enable children from the whole of the Reading area to go wild in their local green space. Your Telephone Vote on Monday 24th November will help us achieve this. We’re proud to be part of The Wild Network, whose mission is to support children, parents and guardians of children to roam free, play wild and connect with nature. An amazing film, Project Wild Thing, kickstarted this nationwide movement and as part of the project we’re going to create ‘The Wild Town Toolkit’ which we’ll share with other organisations across the land who want to make their own town go wild! Wow! TV Producer, author and naturalist Stephen Moss supports The Wild Reading Campaign! "The so-called Urban Jungle is actually a great place for wildlife to live - towns like Reading provide everything they want in terms of food, water, places to sleep and places to breed. And towns are also a great place to watch wildlife - urban creatures are pretty used to people and often allow you to get really close. And engaging with wildlife isn't just great fun, it's also really good for you - and free!" Listen to Teresa Verney-Brookes bigging up The Wild Reading Project with Phil Kennedy on BBC Radio Berkshire.